I have grown. And you made me grow up. You have, in fact, aged my heart. You have taught me much. I thank you for that. You have taught me that the ideal of selfless and true love is often a farce….that there is no shoulder to rest your head on…there is no love beyond the superficial. I learnt that the saddest songs, eventually, are the songs of joy we sing in hopes of tomorrows that never come. You taught me that the only person you can rely on is yourself. I learnt, via you, my love, that one should never let one’s guards completely down….that one should never let anyone inside your core….that one should never reach points of no return. You taught me not to be so vulnerable that another being could play with your head and heart….not to give yourself in someone’s care so completely that when that person shrugs you off and you look inward, there is nothing left of you. As the world will indulge in new year wishes, fireworks and resolutions, I will bend down yet again to pick up my pieces, now a daily ritual. I will work in earnest yet again to shrug off images and sounds and the smell of you in my head. I will quieten the resurfacing questions in my head: How…why….how could you…how will I…what happened… I will tell myself that you were right…that feelings are bookish and tears are worthless and shared laughter was worth nothing…and the marks of our yesterdays have disappeared. I will remind myself that more important than love is ego and “self-esteem”…and that success in life comes only through a certain level of selfishness. And that “sorry” means nothing. Nothing at all. The flower has withered. And the “me” has changed. The “me” you knew is no more. Here’s to a new year…to the hope that it will be kinder. 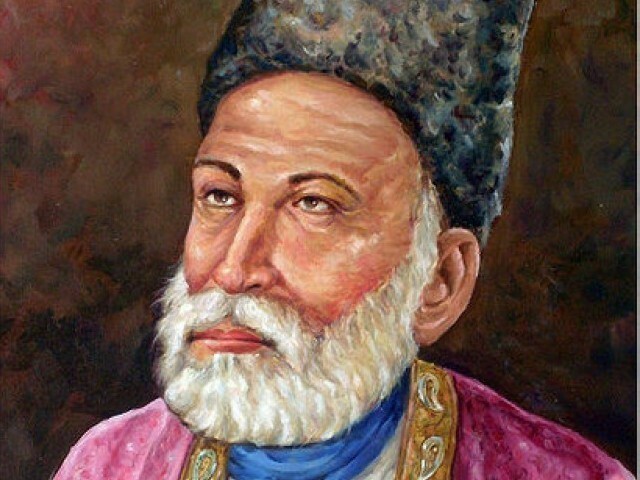 Mirza Asadullah Khan chose possibly the most apt pen name for himself – Ghalib – meaning dominant. He rules the world of poetry of the Indian subcontinent to date.Greats like Faiz have taken pride in looking up to him. Centuries later, he continues to be the muse for millions. A Long Play (LP), or a 33 1⁄3 rpm vinyl record, that my father had bought from a trip to London was titled “Lata sings Ghalib”. Often, Abba would play it and make me sit and listen. It was like a punishment for me. I didn’t understand why Abba wanted to listen to something so sombre with such difficult words. He tried to explain the lyrics to me, and told me tales of how he had heard Lata Mangeshkar sing some of these ghazals live at the Royal Albert Hall in London. But as a seven-year-old, I thought Abba’s going to London and buying that LP was a very unfortunate thing. After all, I could have used the same time playing Pacman on my Atari video game. Years later, studying Ghalib for my grade 10 Urdu exam, I thanked Abba. And thanked my eldest brother who, when I entered my teens, gifted me a Deewan-e-Ghalib and made good use of my summer vacations by explaining the entire thing to me. By then, Atari had become boring, hormones had started kicking in and the concept of romance started making relatively more sense. Ghalib, thus, begun to make sense too. At a later stage, that concept of romance translated into the idealistic notion of love, or even Ishq. Ghalib was with me at this stage too. It seemed he knew what was going on inside of us….like he had a prophetic understanding of human emotion. However, it dawned much, much later that a lot of his poetry was deeply spiritual. That perhaps his poetry was not for the beloved, but for The Beloved. And this is where Ghalib has hit me the most. My father, at a later stage in his life, took my mother on a trip to India, without any of his children. He wanted to visit the Taj and Aligarh University, his alma mater, with my mother. But a third site, very important to him was Gali Qasim Jaan, Ballimaran, and he took Ammi there so that she gets a feel of Ghalib. The angels were his muses. I have long lost that LP. But I know that I must talk to my daughter over sessions of Ghalib’s poetry we can listen to on Youtube via a proxy. One day, she will thank me for it. Posted in Uncategorized and tagged Deewan e Ghalib, Ghalib, poetry, shairee, Urdu, urdu shairee. Bookmark the permalink. 7 years later, what is BB looking down at? And so it was. Those armed with weapons and the ideology of dictatorship were afraid of the frail twenty-something Benazir Bhutto who was armed with an ideology. She had on her shoulders the heavy task of taking forward the legacy of her father, Zulfiqar Ali Bhutto, who was, after Jinnah, a true leader this nation had been gifted with, even though there were some taints on his name. BB fought back, and she fought back well. She was received well by the people who adored her. She was not the orate speaker her father was, and often had to rely on a display of histrionics to divert attention away from her compromised Urdu and Sindhi, but she was true to her cause. She suffered for the sake of democracy and won in the end. 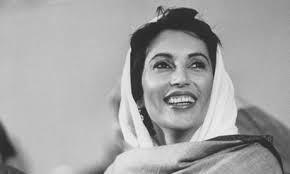 Our dear BB, the darling of the crowds, the emblem of a movement “by the people, for the people”. But what happened later is a horrific tale of something right going so wrong. Somewhere, her father’s beloved Pakistan Peoples Party (PPP) fell prey to corruption and nepotism. The efficacy of BB’s second term as prime minister for the cause of social justice is questioned even by staunch PPP followers. Yet, with all her faults, the brave daughter of a brave father, she came back after nine years in exile, mingled with the people, and paid the ultimate price for her bravery by being martyred. And this is where the ultimate downfall of her party began. Seven years after her, we look back at her legacy. And when we think of BB’s PPP, we think of it till December 27 2007. What followed, and what remains, is a disfigured mutation of the ideology that once represented this populist movement. Like every 27 December since the last seven years, crowds have gone to Garhi Khuda Bukhsh and are showering flower petals on her grave and sanctifying her, and they insist that “Bhutto zinda hai”. Of these, there are those who have used her martyrdom for their own agendas. Then there are those who are there simply because they love BB and are unable to get over the romance of the Bhutto name. Also there are those, and these are many, who know well that the present PPP is not even a shadow of what it once was, yet it is too late in the day for them to change their political allegiances. The rest of Pakistanis, like myself, are disgruntled bystanders. 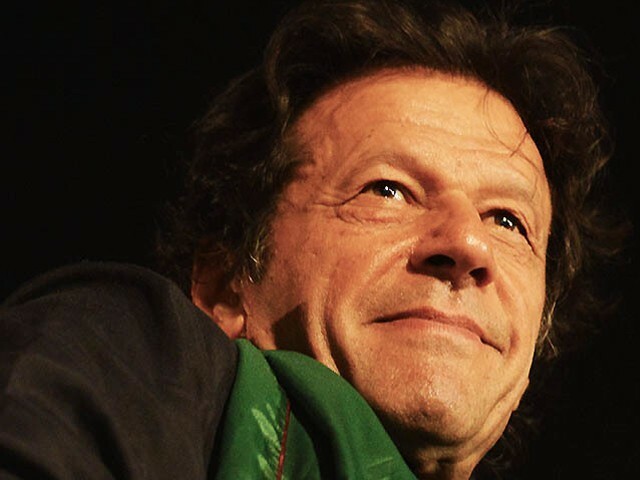 Some of us have turned towards more promising political parties, and have hopes in another populist leader who has risen in Pakistan, while others have become political atheists. While out of respect for BB, we still listen to her young son shouting himself hoarse that Bhuttosim is alive, we sadly know all too well what the reality is. Only time will tell if Bilawal or his sisters, or preferably a non-dynastic heir to BB’s ideology can give PP the boost it desperately needs. For now it seems improbable, if not possible. While her heirs succeeded in completing their term, their inefficient governance and corruption has cost the party heavily in terms of public support. With all her faults, I believe BB meant well, which is not what can be said for those who took over her political throne. If BB is looking down, we know that she is equally saddened by what happened to her legacy. RIP BB. Posted in Pakistan, Women and tagged Benazir Bhutto, Bilawal, Garhi Khuda Bukhsh, PPP, SMBB. Bookmark the permalink. Mein to marr kar bhi meri jaan tumhain chahoon ga…. PS: If ever there is love in this world, then this is how it is. Below are links of two renditions. One the timeless ghazal by THE Mehdi Hasan Khan Sahab, the other by an able vocalist Shafqat Amanat Ali. Rarely has the world seen such beautiful poetry. Posted in Uncategorized and tagged ghazal, Mehdi Hassan Khan, nazm, poetry, Qateel Shifai, Shafqat Amanat Ali, Urdu, Zindagi mein to sabhi. Bookmark the permalink. KARACHI: “The mother of a disabled boy who could not walk without braces shared with me why her son was not being allowed to attend school. ‘My son cannot walk without leg braces. The school says he has to wear regular shoes that are part of the uniform. That is why he is out of school’. Such is the lack of inclusiveness which differently abled people have to face. I refuse to call them disabled,” says the young Farhat Rasheed, an activist for rights of the disabled. Rasheed herself has spent a life confined to the wheelchair, but has lived a full life, and has done it all from attending a normal school to working in a multi-national to travelling. She had then pursued the case with the school which the aforementioned boy was going to, and managed to convince them to allow him to attend school. “My parents fought for my right for social inclusion, but a lot of parents are too unaware to do so. It also depends on the socio-economic strata you belong to,” says Rasheed. Her father had offered a known college for the elite of Karachi to build a ramp so that his daughter could attend classes there. “But the college said your child is incompatible to our institute,” she says with a brave laugh. Along with a group of young people, Rasheed started a non-profit organisation called Show You Care (SYC) which works on awareness-raising about making public places accessible to disabled people through building ramps. “We have succeeded in getting 15 ramps constructed in Karachi alone. It is a fight,” says Rasheed. Out of a registered population of about 180 million, over five million persons in Pakistan are officially considered to have some kind of disability; actual numbers are likely to be higher. There is just a two per cent quota according to law in Pakistan’s workforce for persons with disabilities,” says Omair Ahmed, Director, Network of Organisations Working for People with Disabilities, Pakistan (NOWPDP). Ahmed believes that social inclusion is the right of special people. Explaining the demand of the disabled that sign language should be recognised, Ahmed says that it is an important debate when the hearing impaired or the visually impaired demand that they be seen as a minority community instead of being seen as disabled. NOWPDP has very promising initiatives. 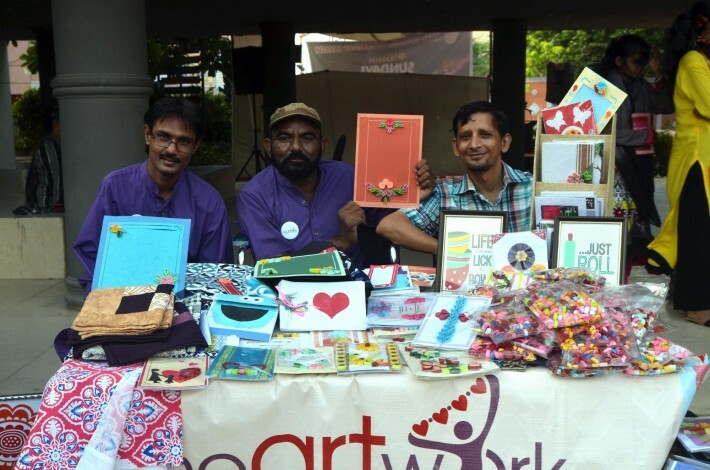 One is what they have named “heArtwork”, in which disabled people produce works of art and craft, as a step towards economic empowerment. 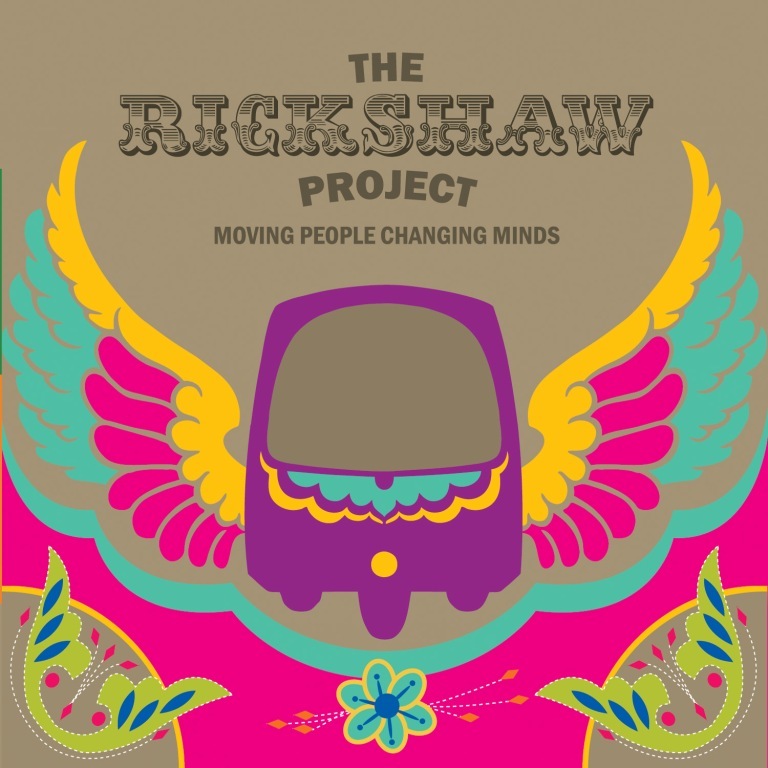 Another is The Rickshaw Project that helps disabled persons drive rickshaws and earn as well as get around. “We are pushing for legislation in the Sindh Assembly so that motor vehicle driving is made easier and legal for special people,” says Ahmed, and confirms that Sindh’s major political parties are on board for this positive initiative, which includes members of Muttahida Qaumi Movement (MQM) and Pakistan Peoples Party (PPP). A recent step in the right direction is that the government of Khyber-Pakhtunkhwa has made education for disabled free at not just school level but also at college and university level. “For the first time, the government of K-P is giving free higher education for physically challenged people,” says Rasheed, feeling encouraged. K-P Education Minister Atif Khan, while talking to The Express Tribune, adds that even the age limit for jobs for the disabled in K-P has been relaxed by ten years. A lot of initiatives from the private sector, mostly set up by parents and family of disabled people, also fill the gap. 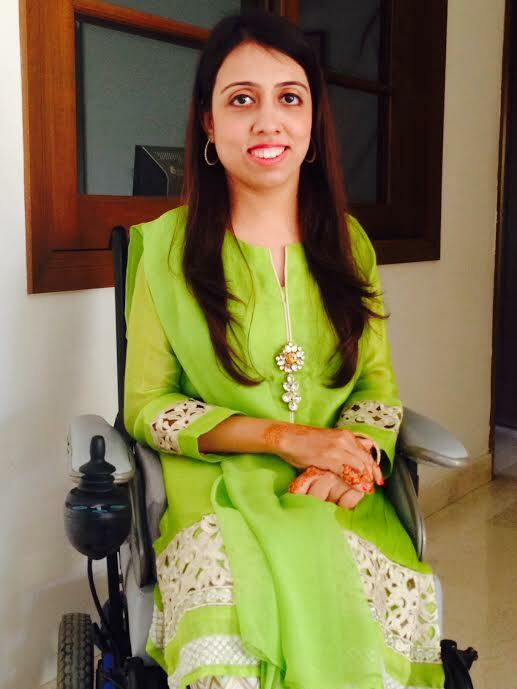 Rasheeda Naviwalla used the empathy she developed by being the parent of a special child and went on to be a founding member of Al-Umeed Rehabilitation Association (AURA). Published in The Express Tribune, December 3rd, 2014. Posted in Uncategorized and tagged Al Umeed Rehabilitation Association, AURA, Disabled, Farhat Rasheed, NOWPDP, PTI, Show You Care, Sign language. Bookmark the permalink. Do human rights activists hate Imran Khan because he is not a leftist? This was the morning after Imran gave an inspiring and honest talk from his container as PTI celebrated “Justice for Women Day”. I had heard that Pakistan Tehreek-e-Insaf (PTI) would be celebrating this day a few weeks earlier from a friend who is active in PTI, and a close aid of Imran. I had asked her if the date, November 25th, had been chosen to coincide with the International Day for the Elimination of Violence Against Women. As a human rights activist and a journalist who reports passionately on human rights and has friends from the field, I also support PTI’s stances on most things, if not all, and look up to Imran as a real hope for Pakistan, as a sincere leader, a philanthropist and humanist. The two things seem like opposites, which is why for a while I procrastinated writing this blog because it would mean choosing sides. Only, the traction is interesting, because I am clearly on both sides. As for Imran, I see him as a proponent of human rights. He may not be the stereotypical human rights activist of Pakistan, and may not fit the niche group. But he stands up for the underdog, always. And that is what human rights work essentially is – to stand up for the marginalised and vulnerable communities – women, children, minorities, people in conflict zones, people suffering from injustice, people who don’t have money to pay hospital bills and send their children to good schools. The man stands up for social equality. His humanitarian work is a reflection of his belief in equal rights for all. What then is the problem? Why won’t the human rights activists accept him and his work? They love Shaukat Khanum Hospital and Namal College, but certain things he said and did seem to have ruffled just the right (or left) feathers. Being the advocate of both the devil and the angel (and I do not know who is who in this case), there are certain things at play here. For starters, while people like Edhi and Chiipa, and organisations like Alamgir Welfare Trust and even Jamaat-e-Islami’s (JI) social welfare wing’s efforts are lauded, they are seen as ‘humanitarian’ efforts. Human rights and their advocacy are seen as a different animal in Pakistani society, and over its history of more than six decades, a certain niche group of people have started being associated with this in the country. They are, in fact, seen as the stake holders of human rights. And with the package come certain pre-requisites. You have to be leftist, or left-off-centre, or at least completely secular, and be someone who does not bring religion into any talk of human rights. As much as we tried to explain that this could be done for all religious sects and leaders of minority communities could also be brought on board to fight evils like domestic violence, her reaction remained angry, till the organisers promised that the idea would be dropped. Imran, in comparison, is clearly centrist in his approach. He cites examples from the life of the second righteous Caliph, Hazrat Umar (RA) and is clear that his dream is that “Pakistan should be an Islamic welfare state with equal rights for all”. In October this year, he dared to question the Human Rights Commission of Pakistan (HRCP) regarding where their funding comes from. Imran’s take is that anyone and everyone should be open to being questioned. But the reaction, not surprisingly, was “how dare he”, given the truly amazing work that has come out of HRCP for the people of Pakistan. This came as a retort to the HRCP saying that Imran and his party’s sit-ins are distracting from more important human rights issues. Add to it the very open issues between the Imran Khan camp and the Asma Jahangir camp. There is a history here, which I wish to leave aside. But the fact remains that this situation has added yet another dimension to the polarisation in Pakistani society. The human rights camp remains unforgiving of Imran’s earlier stances on many issues, for example his earlier take on certain women-friendly legislations, or his openness to the idea of talking with the Tehreek-e-Taliban Pakistan (TTP). His present softer stances are seemingly not enough for them to give him a chance and work hand in hand for a better future for Pakistanis. This leaves people like me in a predicament, people who see sincerity on both sides; people who feel bridges should be built between both sides. It is ironic that I am writing this a day after my paper published a report by human rights group Reprieve, stating that the CIA killed a whopping 221 people, including 103 children, in Pakistan in the hunt for just four men, and that 24 men were reported killed or targeted multiple times; missed strikes on these men killed 874 other people, and account for the 35% of all confirmed civilian casualties in Pakistani drone strikes. The humanist in me cannot write-off Imran as a humanitarian as well as a human rights activist, knowing that he took the strongest stance against “collateral damage” in drone attacks, which is a gross violation of human rights, and his work in the field of public health, education and his stand against injustice. We live in times where things are neither simplistic nor black and white. If Pakistan has any hopes of uplifting the downtrodden in our society, the thing to do is to appreciate whatever good is being done by any one, whether from the left, the right or the centre. Imran has and is doing a lot of good for our people and stands up for their rights. He may not be your typical human rights activist, but he is one all right. One of the best. Posted in Human Rights, Pakistan and tagged Express Tribune, Express Tribune Blogs, HRCP, IK, Imran Khan, Pakistan Tehreek e Insaaf, PTI. Bookmark the permalink.